This dish was actually inspired by one of my favorite chefs Lidia Bastianich. She did something like this on her program but it was with onions and bacon (sauce was made with egg yolks and pasta water) . 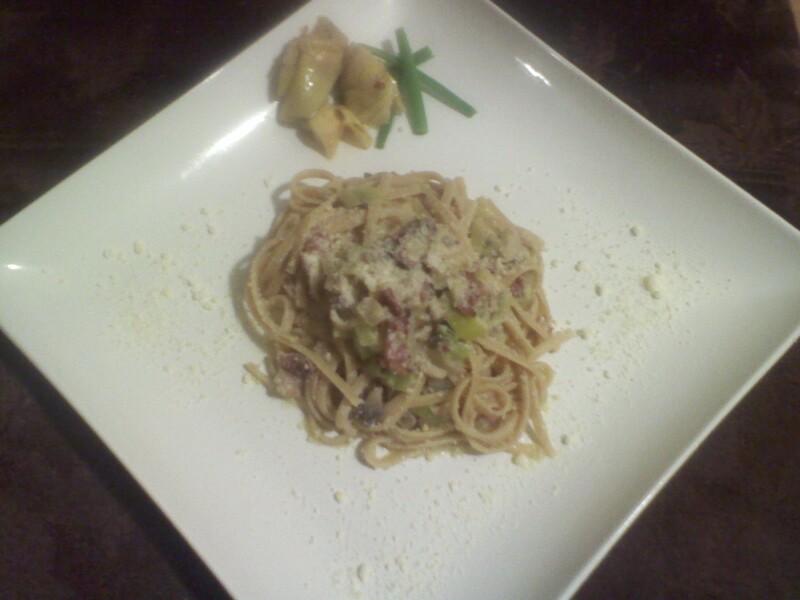 I decided to add leeks, mushrooms to the onions and bacon (sauce was still the same). I had it with Whole Wheat pasta instead. Topped with Parmesan cheese. The taste was absolutely amazing. Next Post Blueberry Muffin Delight!! You can’t miss with a good pasta dish. I was very happy to seek out this internet-site.I wanted to thanks on your time for this glorious learn!! I definitely enjoying every little little bit of it and I have you bookmarked to check out new stuff you weblog post.